Sorry I’ve been missing lately! I wish I could promise a more regular posting and commenting schedule but my life is about to get even crazier and busier in the next couple of weeks so I may not be around much. But I want to fill you in on what’s been happening in my (now) crazy life lately! 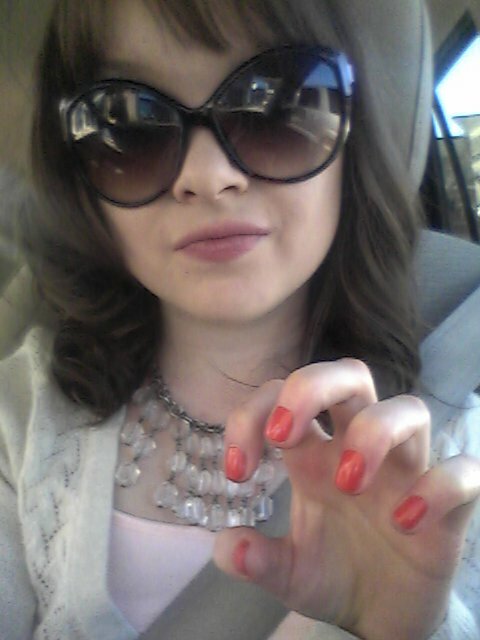 I don’t always get manis…but when I do, I take shameless selfies to show them off! Of course, this chipped a couple of days later. 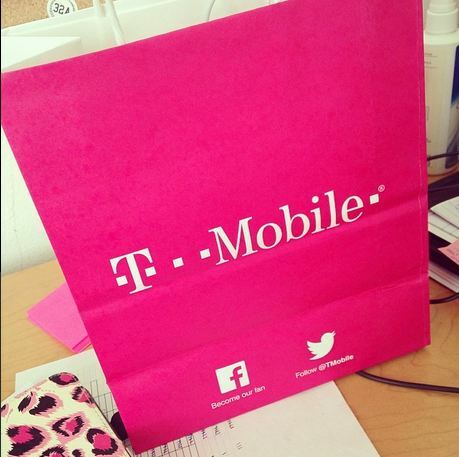 On Friday my mom and I headed up to Denver for a busy day of shopping and food. 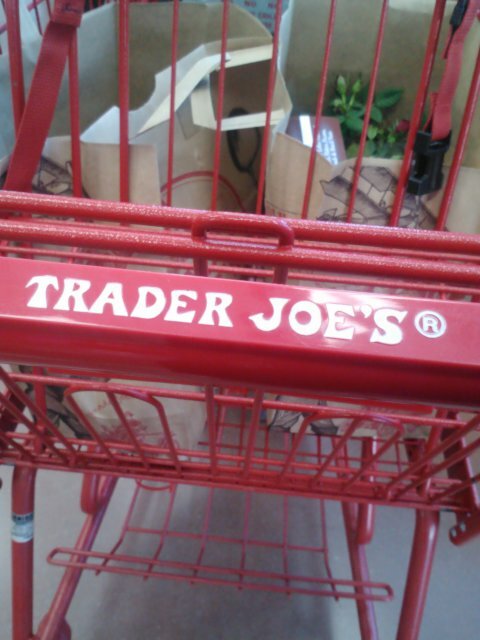 We got lunch at Native Foods first (my last time getting to eat there for awhile 😦 ) and then the moment I’ve been waiting for for at least a year…we stopped at the new Trader Joes! Colorado finally got with the program and opened up a few TJs last month, but since none are where we live, we had to drive about an hour up to Denver to check out the store. 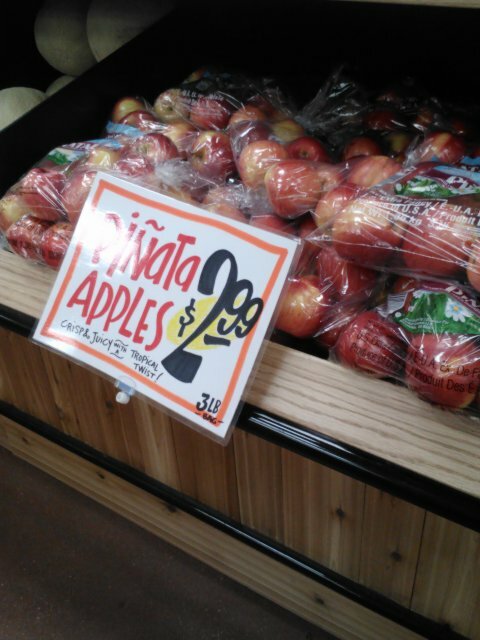 Their produce is so cheap but incredibly good! The store was a little smaller than I was expecting it to be, but then again I’m used to Whole Foods and Sprouts which are a little bigger. But the selection is incredible! They had so many products I’ve never seen anywhere else, and a lot of stuff (like their raw almond butter) is just much cheaper than at any other store. It made me a little sad that I’m moving to a state that doesn’t have any TJs. 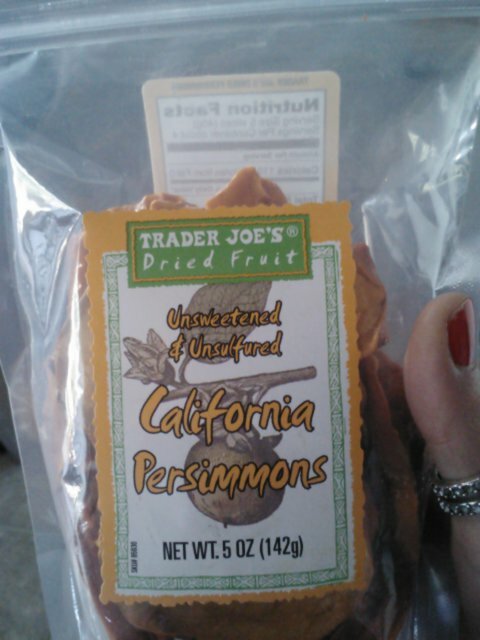 Of course, I ended up with a bunch of stuff, including dried persimmon (! ), almond butter, tofu burgers and a pink sea salt grinder. My mom was mostly impressed with their beer and wine selection! Where else can you find exotic dried fruits for less? After a quick trip to our favorite ice cream place (they always offer 4 rotating vegan flavors and I got the spiced cider sorbet–just like apple cider! ), it was off to IKEA! 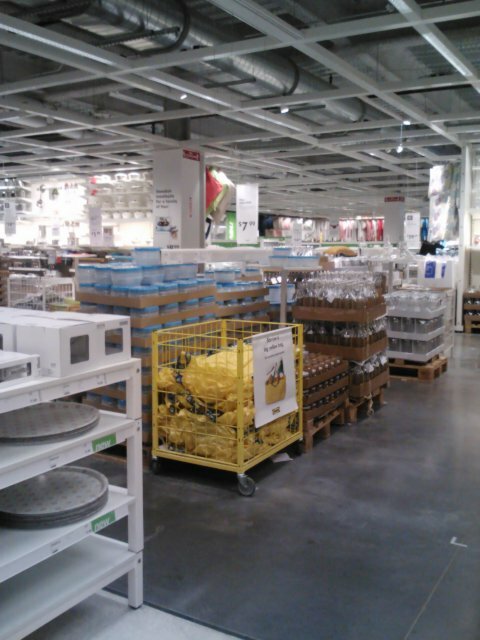 If you’ve never been to an IKEA, you won’t realize how awesome it is. It’s also a decent workout, as you have to walk through the entire store to get to the checkout. My mom and I went to check out some inexpensive furniture for my new apartment but we didn’t get anything other than a tabletop ironing board because we realized we won’t have enough room in the car to move it. And there’s no IKEA where I’m moving to, so any IKEA furniture will have to wait until I come back home to visit and I can take some back with me. 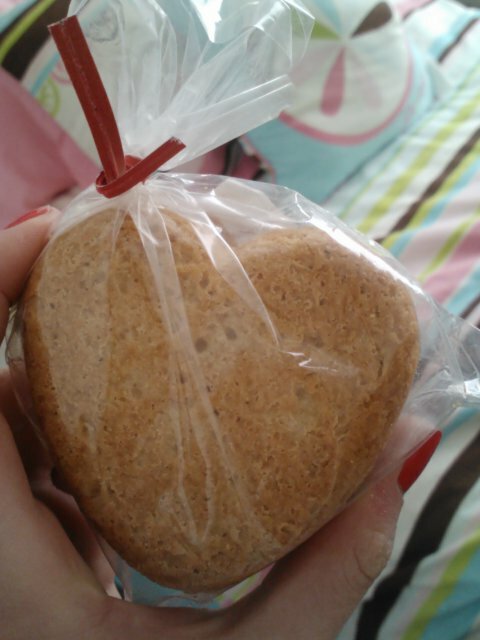 An amazing locally-made GF vegan cookie. So buttery and maple-y. On Saturday my dad and I hit up a vegan pop-up market downtown. The weather was seriously crappy (windy, cloudy and cool) but luckily the market was held inside. It was a lot smaller than I was expecting it to be, but we got free samples of kale chips and green juice and I also got a couple locally-made gluten free vegan cookies. I wish I had bought more, because they were incredible. After church, it was time for my celebratory dinner out. My family doesn’t go out to eat often (once a month, if that) but we always do for special occasions, like birthdays and apparently job offers! I chose Tapateria, where I had my birthday dinner in July and even though we couldn’t sit outside because of the weather, it was still just as nice of an experience as it was the first time. We ordered a lot of the same things as last time, like the incredible fresh garlic bread (everything is gluten free, which I love! 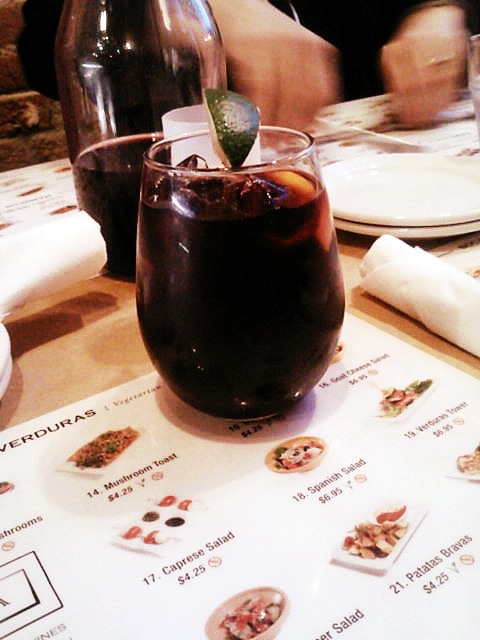 ), the warm olives and of course, the sangria. I don’t drink that often (again, probably about once or twice a month) but I love sangria and I plan on making my own this summer. So fresh, so garlicky, so good. It’s crazy that Saturday’s dinner was one of the last times I’ll be eating out with my family. I know it’s kinda hard on my parents too–my sister’s going off to college in the fall so they’ll officially be empty-nesters. I’m lucky to be so close with my family, so I know the transition period will be tough on all of us, but it’s nice to know that I’m always a phone call, text or 9 hour drive away from seeing them. I’m finally an iPhone owner! So there’s just a little glimpse into the craziness of my life lately. I’ve got one more post lined up for this week, and then I’m off to TX at the end of this week for spring break! Fair warning, my life will be even crazier post-spring break so I’ll try to keep up with commenting but I probably won’t post much for the next few weeks. See y’all in mid-April! So I haven’t done a legit WIAW (aka, posting all my meals from one day) in a really long time…why not do one now? 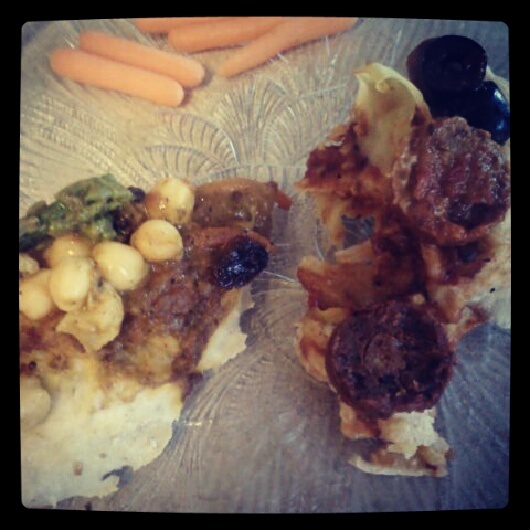 I managed to take Instagram pics of basically everything I ate on Sunday so here it is! 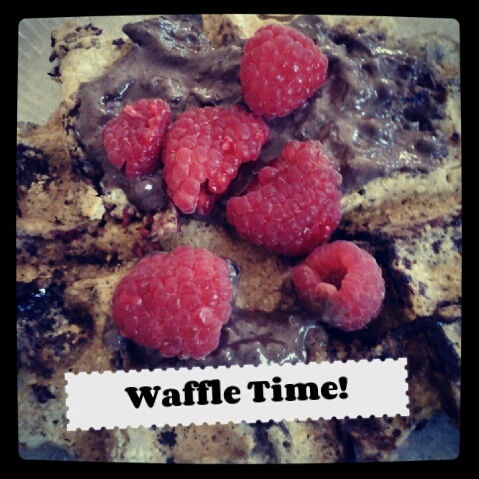 Homemade oat flour waffle with semisweet chocolate chips and frozen raspberries, topped with chocolate protein ‘frosting’ and fresh raspberries. It’s obvious that I’m obsessed with waffles for breakfast. But I haven’t spent a dime on frozen waffles in probably 2 years. Why not make your own, with all the things you want and nothing you don’t? My waffle maker is getting so much use by me that my mom said I could take it with me to my apartment! My basic recipe always includes oat flour, baking powder, Truvia, unsweetened almond milk and chia gel. But I always include add-ins. 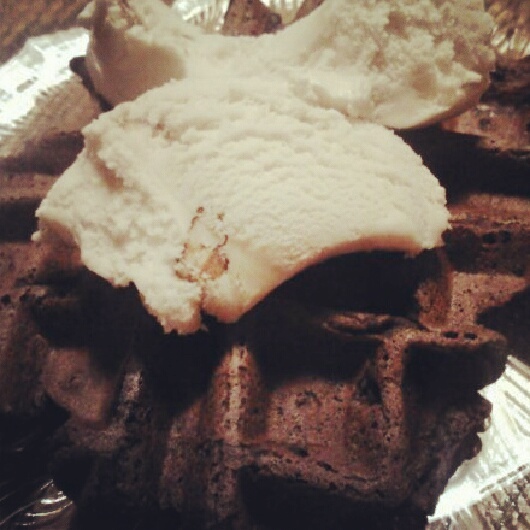 And you can’t forget the protein frosting, that’s the icing on the cake waffle. Steamed edamame topped with nooch, baby carrots, mini raw carrot cake bite topped with pineapple cashew cream frosting, fresh pineapple and blueberries. 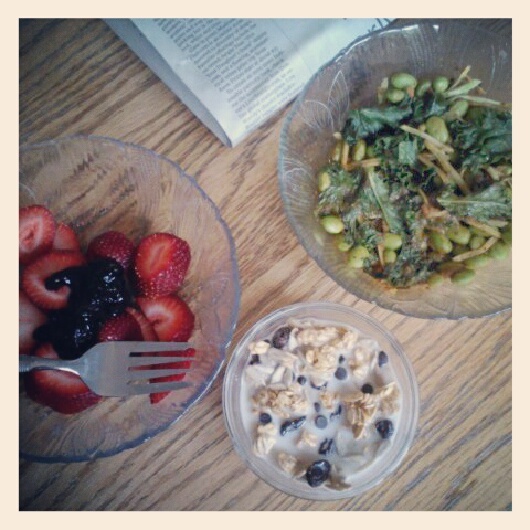 I love having edamame at lunch! Lately, I’ve been increasing my protein and it keeps me so satisfied. I’m not straying from veganism for the sake of protein though–there are plenty of plant based proteins that I’m obsessed with. Edamame is definitely one of them, it’s just so good and easy to make. And it tastes awesome with nooch–sounds weird, but it does. 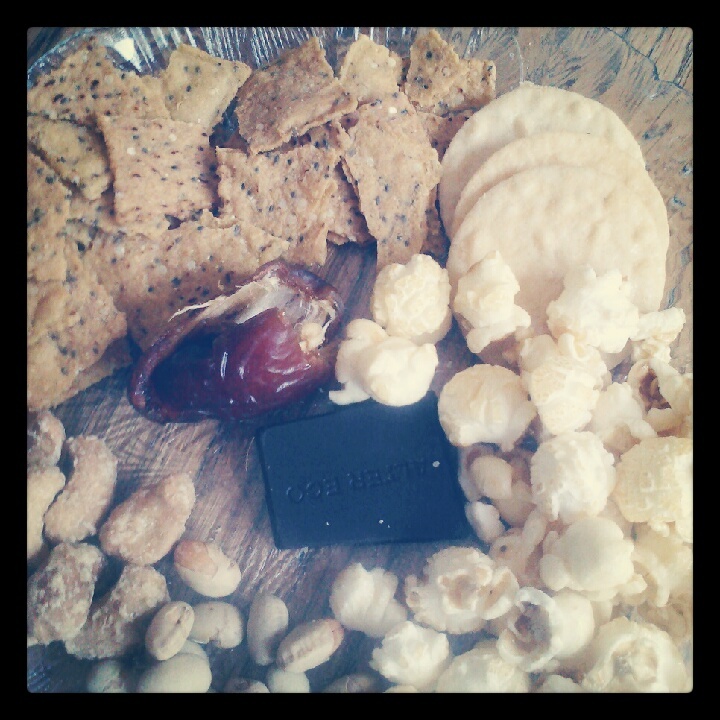 Simply sprouted sweet potato chips, wasabi rice crackers, kettle corn, dried edamame, maple cashews, Medjool date, Alter Eco dark mint chocolate square. 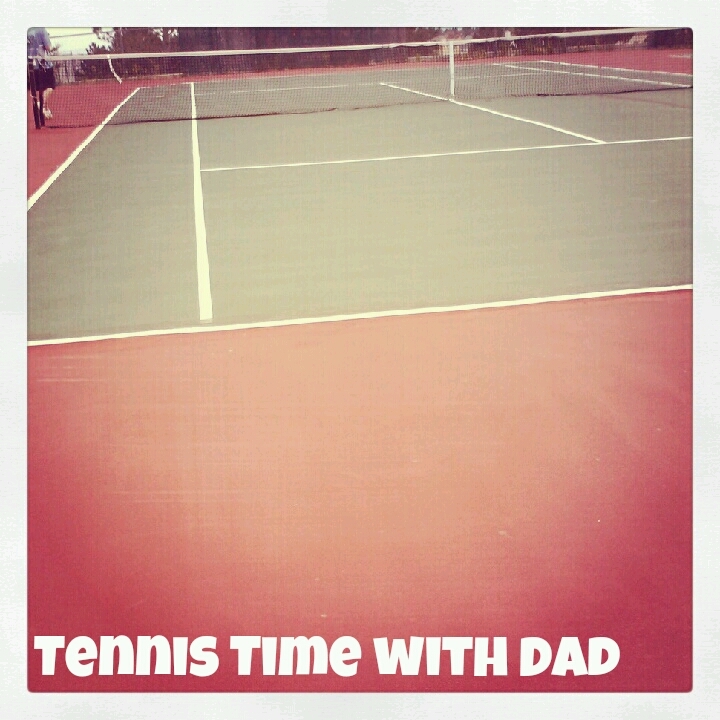 I’ve been trying to play tennis with my dad every weekend this summer. It hasn’t always happened, but we’ve been playing a lot and it’s always a fun break from the norm. On Sunday we only played for half an hour since we started out late (around 5:50 pm) and the clouds were rolling in but we were running around the court more than usual. Spinach and mixed greens topped with falafel and homemade vegan tzatziki, veggie straws (unpictured chocolate banana protein smoothie). I was feeling lazy and uninspired when dinner rolled around but I decided to make use of some falafel balls taking up space in the fridge. 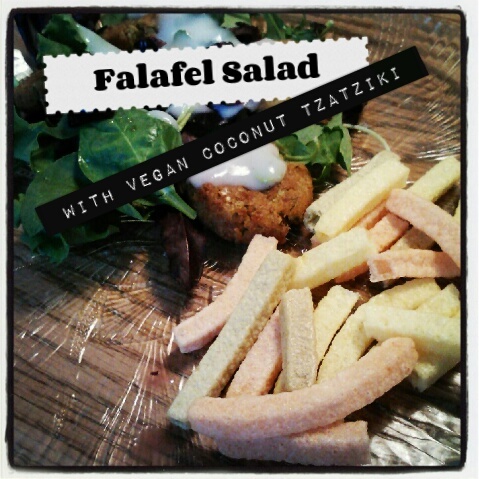 I whipped up a vegan tzatziki sauce made from some coconut milk yogurt I just bought, topped some greens with the baked falafels and sauce and had some veggie straws and a protein smoothie on the side. It was actually a great dinner, especially for being on the fly! Scoop yogurt into a bowl. Add in cucumber, mint leaves, garlic and lemon juice. Stir until combined, and add in salt and pepper. Let sit for 10 to 15 minutes to let flavors mix. Makes 4-5 small servings. 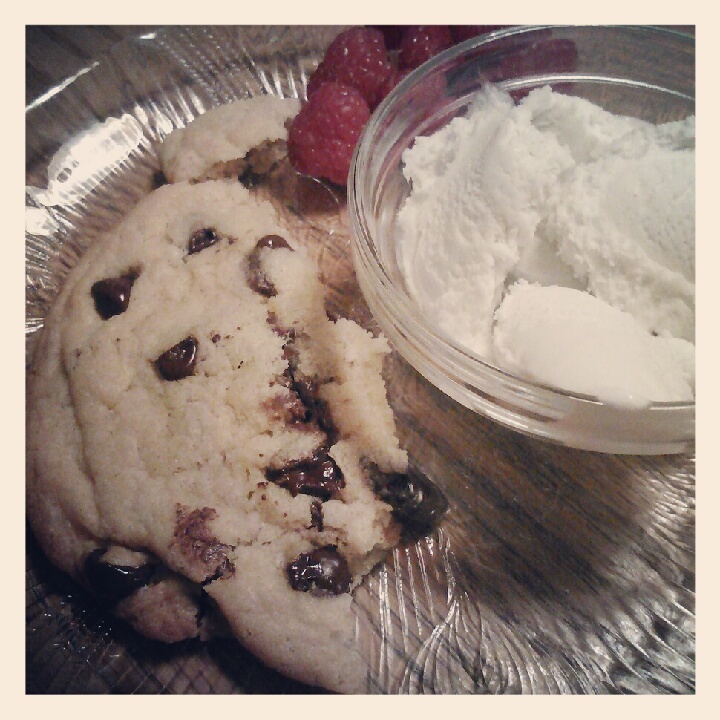 Half of a WF vegan chocolate chip cookie, fresh raspberries, mint chip coconut milk ice cream. I know I post a picture of a vegan cookie and ice cream all the time, but I don’t have it every night! The cookie I buy maybe once every two weeks when I hit up Whole Foods, and I split it in half to make it last two nights. And I have a small bowl of vegan ice cream a few nights a week, it’s just too good not to enjoy often! But it’s expensive so I try to make it last! I just noticed that I was obsessed with chocolate and berries on Sunday–not bad obsessions at all 😛 Actually, I’ve been loving both a lot lately, along with pineapple, mango, quinoa and sunflower seed butter. 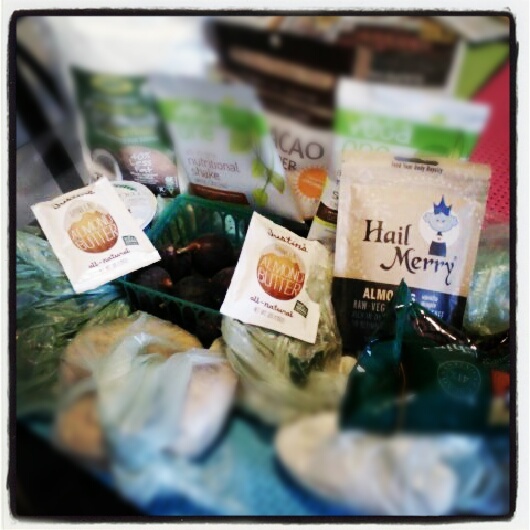 Hey, food ruts aren’t all bad! 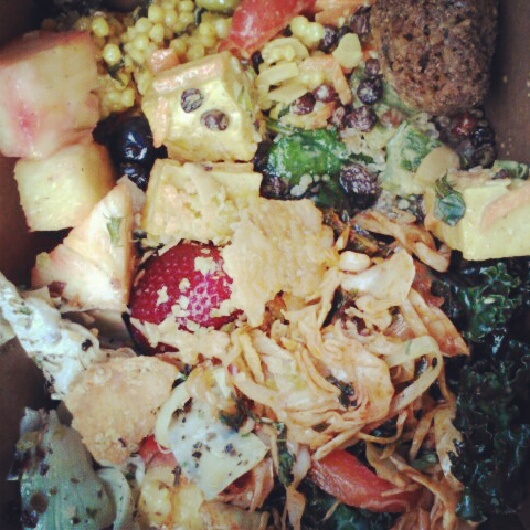 Have you been in any ‘food ruts’ lately? Do you like eating salads for dinner? 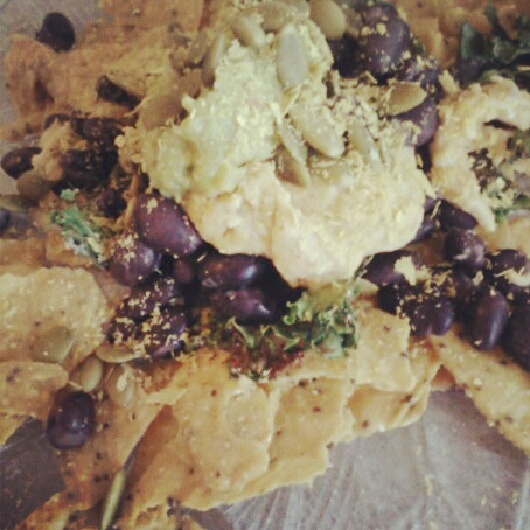 Recipe submitted to Healthy Vegan Friday #42. 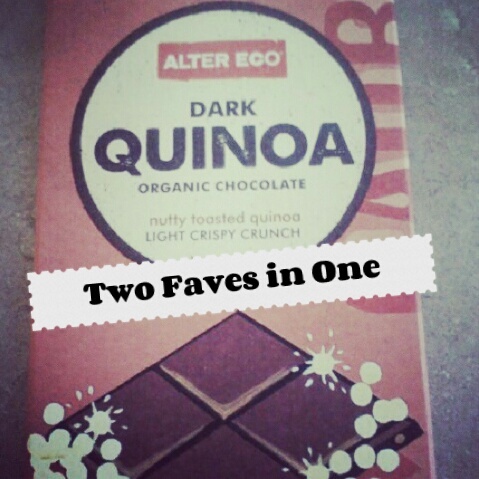 One of my favorite new finds: Alter Eco dark chocolate with quinoa crisps. Chocolove used to be my favorite chocolate brand because of all their creative flavors, like ginger dark chocolate and chilies and cherries in dark chocolate. But once I discovered Alter Eco chocolate, I’m not planning on going back to Chocolove. For one thing, Alter Eco’s chocolate is organic and fair trade. But it also tastes richer and more like chocolate. Oh, and it comes in a quinoa crisp-studded flavor. Yeah, it’s like those chocolates with rice crisps in it, but way better. Quinoa may seem weird in chocolate but it so works! Nothing better than fresh mango! I didn’t eat this bad boy all at once, but I probably could have. 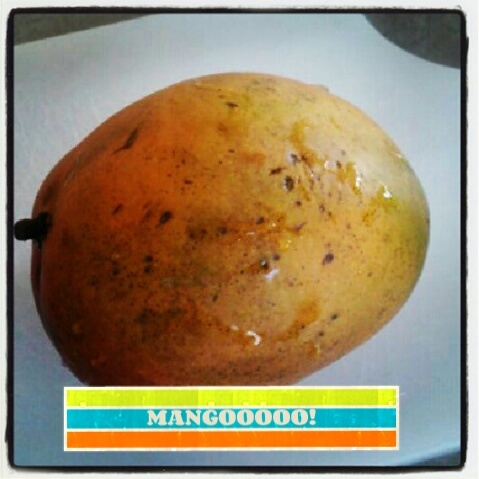 I love the juiciness of a ripe mango and don’t really care how messy and sticky it is, it’s just so damn good. They’re so hard for me to cut, but it’s well worth the deliciousness. Homemade trail mix: dry roast edamame, freeze-dried mango, pistachios and mini chocolate chips. 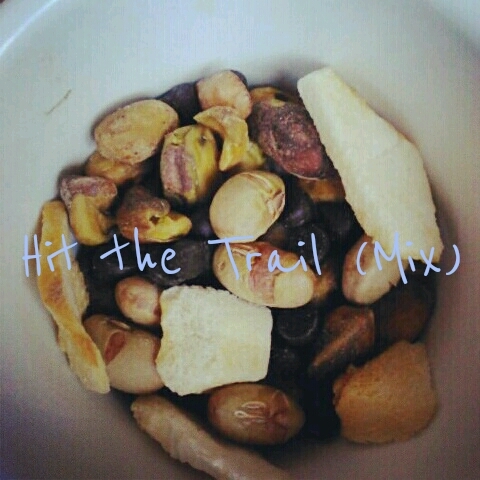 I’m a trail mix lover for sure. What I don’t love is the price–store-bought trail mix is pretty pricey and not always tasty. That’s why I like to make my own because I can put only the stuff I like in it and it’s cheaper to buy all the ingredients I need in bulk. That’s a win win in my book. Outfit break! 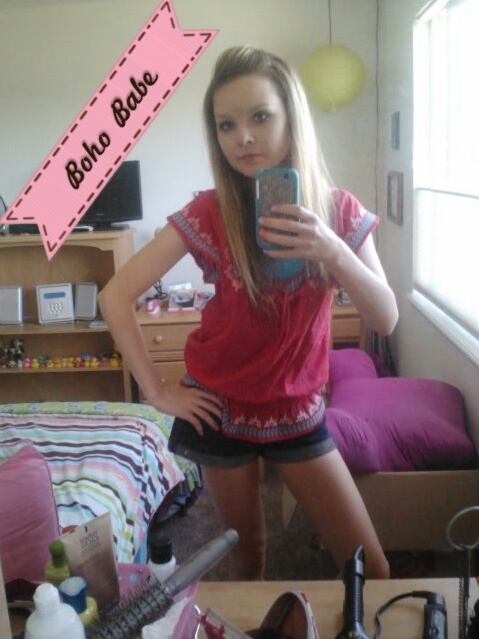 Red flutter-sleeve shirt (American Eagle), aqua cami (Aeropostale), denim cuffed shorts (Abercrombie Kids). I always say that I don’t really have a set style. 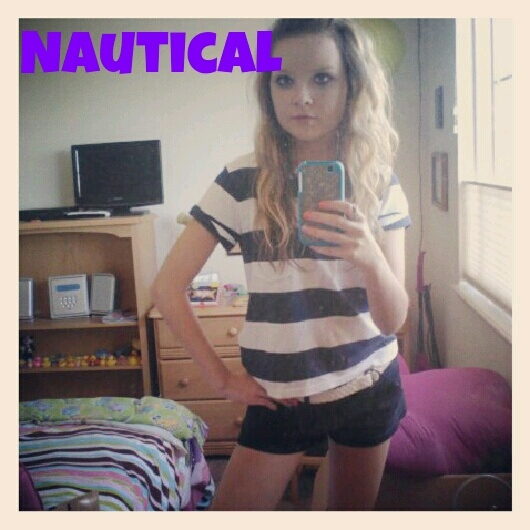 It’s kind of a mix of girlie, preppy and boho but it’s all me. This outfit was more on the breezy, boho side. I bought this top a couple summers ago and I love it. 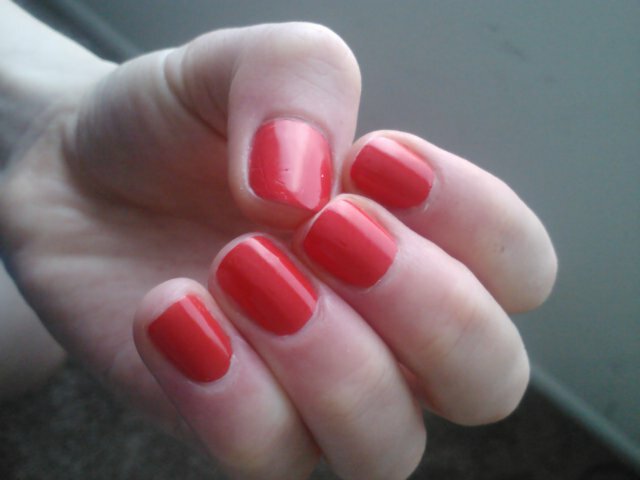 I don’t have a lot of red in my closet but some days I like wearing the color if I’m feeling really bold and fun. 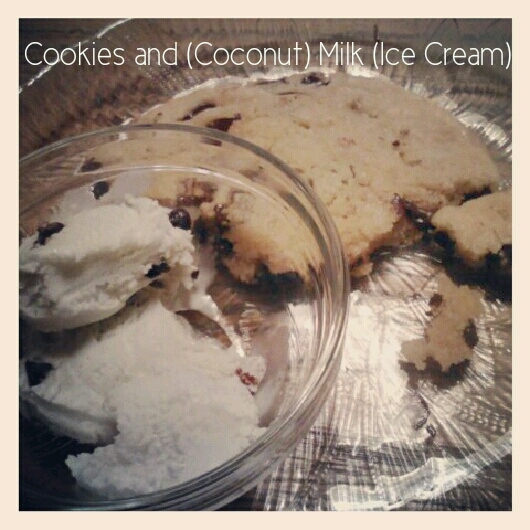 Nighttime snack: vegan chocolate chip cookie, Nadamoo mint chip coconut milk ice cream. I recently discovered Nadamoo and their coconut milk ice creams and I can’t get enough of them. So far I’ve had the maple pecan, java crunch and now the mint chip. My favorite is hands-down the mint chip. Everyone has a favorite ice cream or froyo flavor that they go back to over and over and mine is anything pairing mint and chocolate. The coconut milk ice cream version is super creamy and reminds me of Christmas because it’s more pepperminty but I love it. And I love that it’s colored slightly green by spirulina instead of artificial colors! 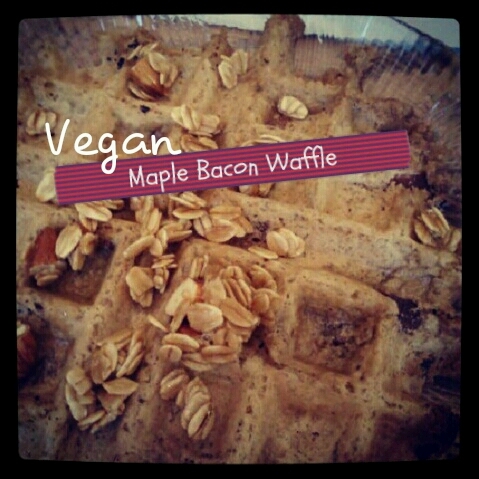 Who said vegans couldn’t have maple bacon waffles? This wasn’t a snack, but I just had to share it. I have no idea where I came up with this waffle flavor, but I realized I had a package of smart bacon in my fridge and wanted to experiment with it. I’m not the hugest fan of it because it’s pretty processed, despite being low in calories and stuff, but it does taste good when it’s crisped up in the microwave. I decided to put it in a waffle and this sweet and salty combo was born. It was actually decent, but next time I’d drizzle more maple syrup on top. Oh, and I’m a huge fan of real, pure maple syrup. None of that low-cal, fake syrup stuff for me! What’s your favorite frozen dessert flavor? What’s the weirdest waffle or pancake flavor you’ve ever seen? No WIAW this week–I know, how lame! Kidding, but my eats have been kinda lacking lately. Think homemade waffles with protein frosting for breakfast, steamed edamame with fresh fruit for lunch, DIY trail mix for snacks (I’ve been loving on the dry roasted edamame, raisin, pistachio and mini chocolate chip combo! ), chilled stirfrys for dinner and healthy homemade baked goods for dessert. Okay, maybe not so boring since I love all of it (especially the protein powder-packed version of my mocha chip banana bread!) but you’ve all seen a million photos of these things already. So I thought this week I’d switch things up and share my favorite things from the week–in Phonto form! Probably a pathetic little bicep, but I’m proud of it! I professed my love for planks in last week’s Friday Faves–and this is why! 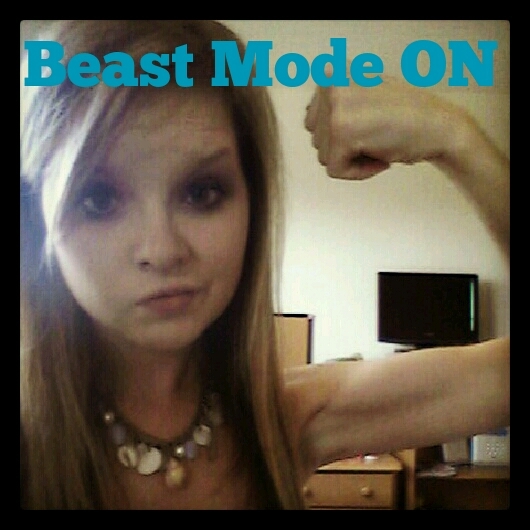 My arms and core have been getting so strong because of them, which is awesome. I love body weight workouts because they make me feel badass–like I’m building strength all on my own, without any equipment! 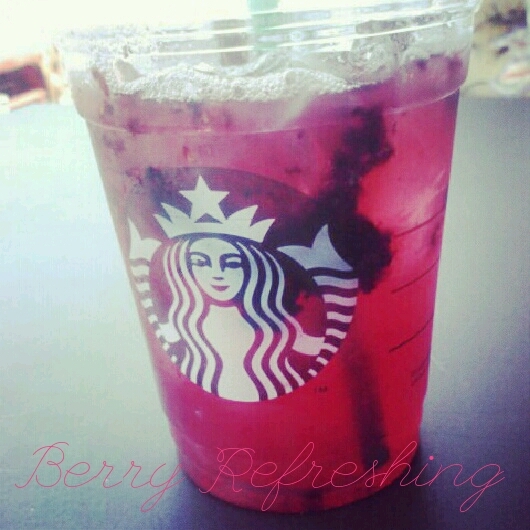 One of my new fave Sbux drinks–berry hibiscus Refresher. I love love love Starbucks, especially their iced drinks. I could probably just live on their plain iced coffee sweetened with stevia or their light soy Frappuccinos. Or maybe even their unsweetened passion iced tea. But these new Refreshers are definitely delicious, and totally live up to their name. When they were offering them free, my mom and I each got one. I loved the berry one most but the limeade one was decent. I’m excited to try their VIA packets though! This sight isn’t very common here in CO, so I had to snap a shot! 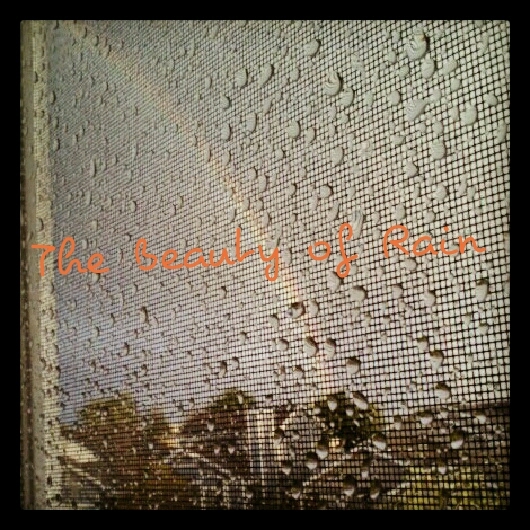 Rain looks so pretty, especially with a rainbow, but it sure isn’t pretty to drive in! I got caught in it on my way home from my internship and the worst part was the crazy wind. I made a quick stop at Whole Foods and almost blew away on my way out! But when I got home, I spotted this rainbow and had to take a picture because it looked gorgeous. 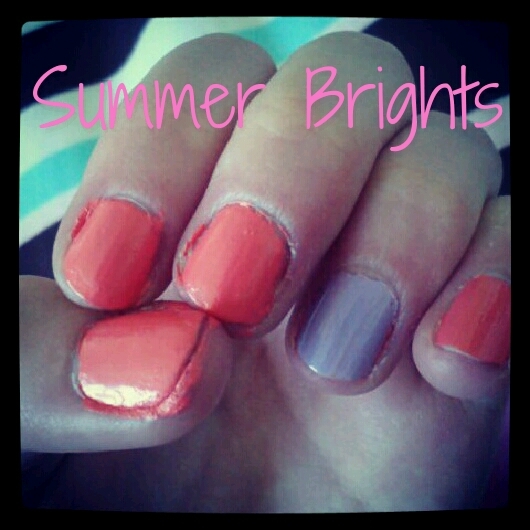 Still rockin’ the color blocking nail! I’ve mentioned it no less than a million times but I’ll say it again–I lurve me some spicy foods! I’m not one of those wimps who thinks jalapenos are too hot…nope, I take my spicy stuff seriously. So these new pickles are right up my alley. They’re perfectly spicy and really crisp and fresh. I only eat Claussen pickles because they’re always kept refrigerated so they taste better. If you like spicy things like I do, please look for these. You won’t regret it…well, maybe your tastebuds will a little bit! Striped tee: Hollister. White woven belt: Abercrombie & Fitch. Navy twill shorts: Hollister. I used to hate stripes with a passion, dunno why. Now I’m totally embracing them, especially this particular shirt. It’s just so simple yet cute, slightly cropped and kinda loose fitting, just the way I like my tees in the summer. 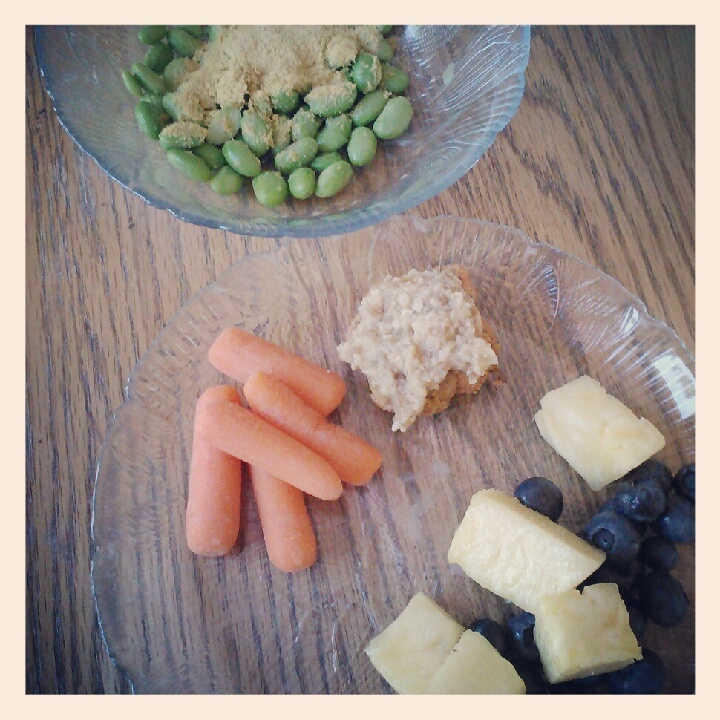 I’m so indecisive that it’s no wonder I turn to snackplates almost every day. I’d rather have little bits of a lot of stuff than make a commitment to one big thing most of the time and this dessert was no different. 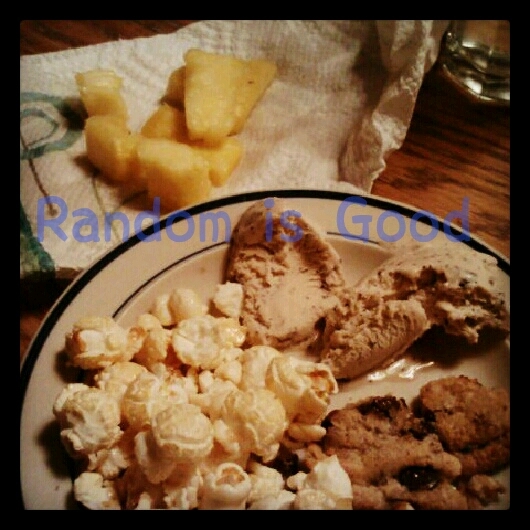 I only had a few pieces of a cookie left so I paired it with some vegan coffee ice cream, my favorite kettle corn and some super juicy pineapple. 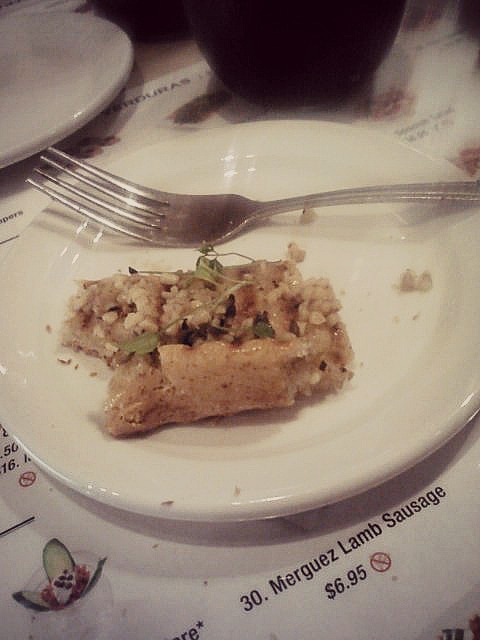 I did eat them all separately though, otherwise that would just be weird and gross! What have you been up to this week? Do you like pickles? Anyone catch the Grease reference? Ironically, my sister’s auditioning for it in the fall at her school since she’s really into musical theatre. I’m actually not even sure if I’ve ever seen the entire movie, but I have definitely heard some of the songs from it. Anyways, I’ve been doing a lot of recipe experimentation lately and it’s all been pretty successful. Well, okay I did attempt to make Katie’s deep dish cookie pie and it turned out alright, except it tasted a little beany and it didn’t last very long even inside a Ziploc bag without starting to get moisture inside the bag so I had to toss them. But everything else has been not just edible but pretty delicious. Note: All of these are my own recipes, except where I gave credit to the original. These tiny bites are addicting! I know I said before that I’m a bigger fan of cookies ‘n cream, but I couldn’t pass up these cookie dough bites I saw on Angela’s blog. If you’ve ever wanted to eat cookie dough but didn’t want to get sick from the raw eggs, these little bites are perfect because they’re vegan, so no eggs involved! 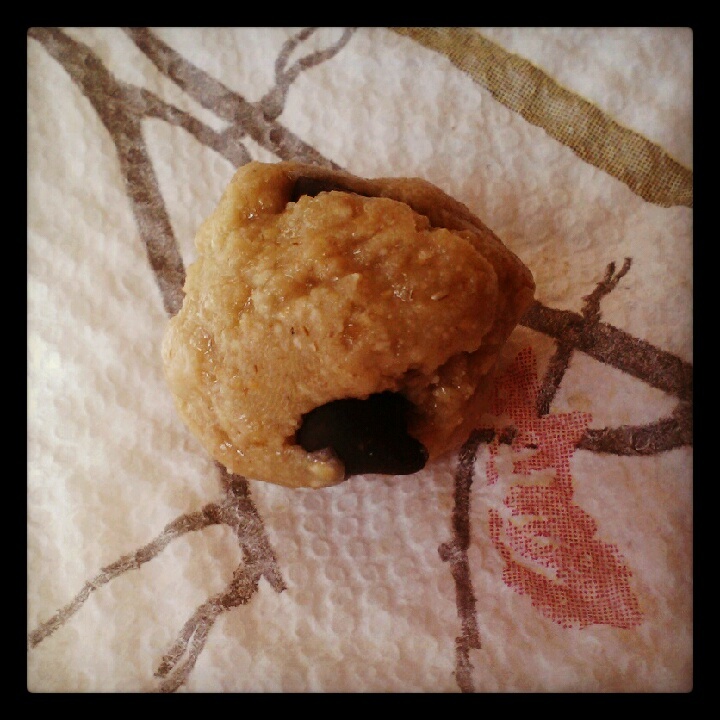 But they taste exactly like raw cookie dough and are super simple to make. In a food processor, blend cashews and oats until combined and flour-like in texture. Add in oat flour, salt and stevia drops until mixed. Add in agave until mixture comes together and is sticky. 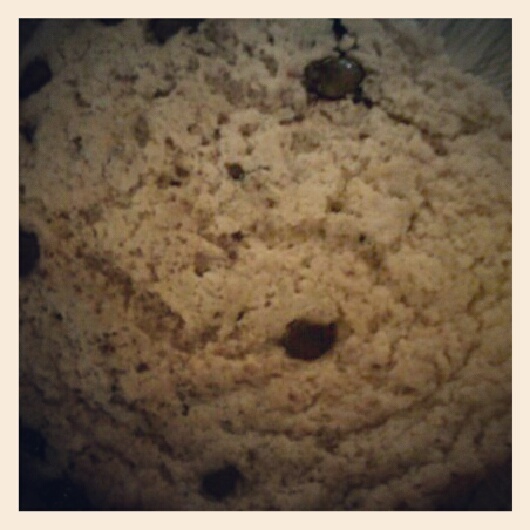 In a bowl, take cookie dough mixture and mix in chocolate chips by hand. Form into 8 to 10 small balls and keep in fridge until ready to eat. Mocha softserve topped with peanut butter Puffins. This one’s so simple it’s barely a recipe but I thought I’d share it anyway because it’s so good. If you’ve ever made banana softserve before and you’re a coffee fan, you’ll love this version. Just two ingredients and it tastes almost like coffee ice cream. Blend banana slices in a food processor or high-powered blender until the slices clump together. Add in coffee powder and process until slices form into a big scoop that’s brownish in color. Serves 1. Trust me, your wallet and your taste buds will thank you for this bowl! Mix quinoa with cilantro and a squeeze of lime juice until combined. Add a pinch of sea salt if needed. 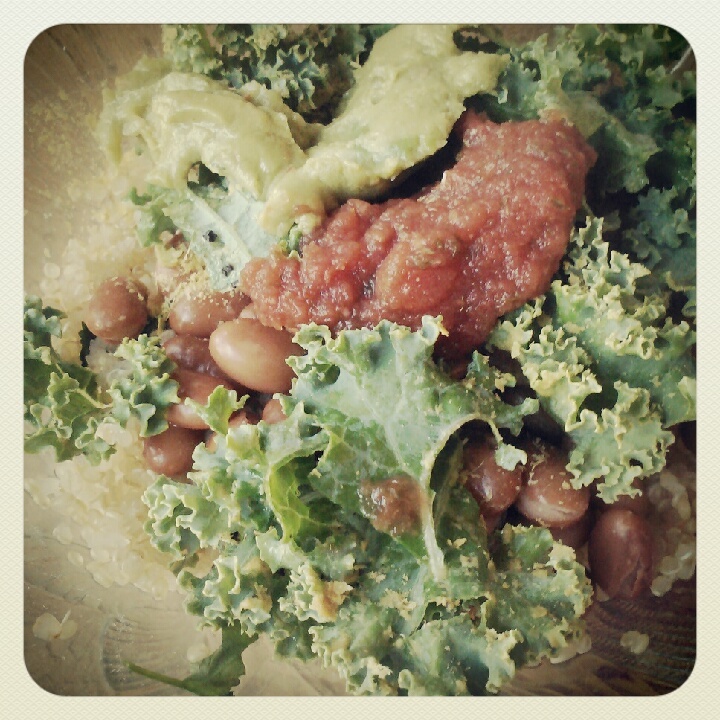 Top with beans, kale, salsa, guacamole or whatever burrito bowl toppings are your favorites. Serves 1. Almost totally homemade cinnamon rolls! 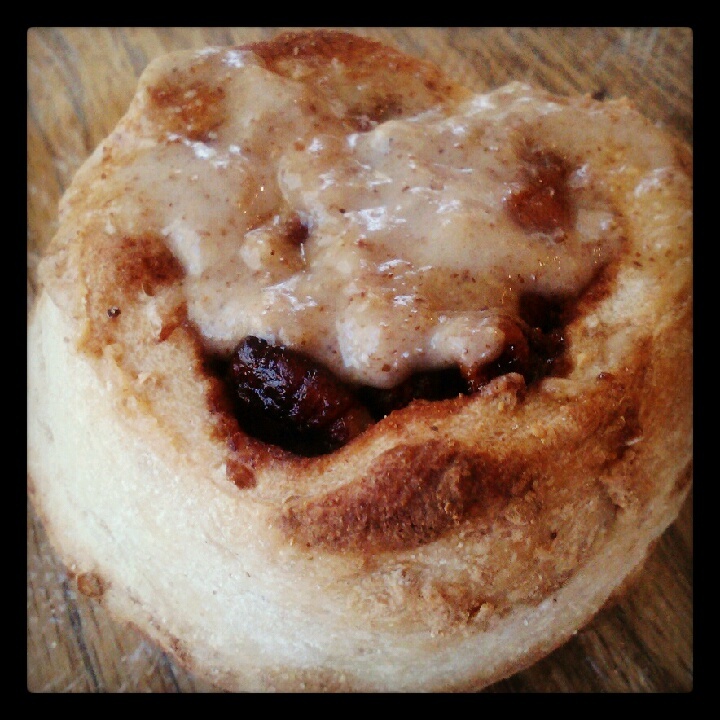 About a year ago, I attempted to make Mama Pea’s cinnamon rolls, which are completely from scratch. Now usually I like making things from scratch and most of the time they turn out. Not this time, probably because I have nada experience with making bread that has to rise. I was still on the search for an easy vegan cinnamon roll recipe when I found out that you can make them using pizza dough. I had just gotten some fresh dough from Whole Foods the other day so I decided to put some of the dough to use in almost homemade cinnamon rolls. And they were a delicious success, not to mention totally easy. If you’re scared about making cinnamon rolls from scratch, this is the perfect recipe for you. Plus they’re really healthy–no butter or oil used, lightly sweetened with a natural sweetener and packed with nutritious grains like millet and oats (if you use multigrain pizza dough). 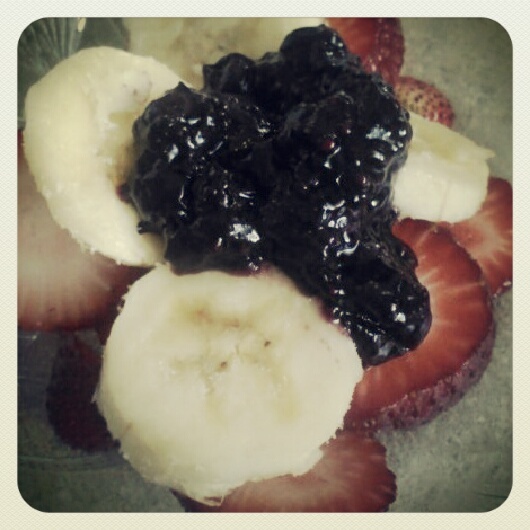 What’s better than an easy, yummy and no-guilt breakfast? Let pizza dough rise in a towel-covered bowl for at least one hour. Preheat oven to 375. Roll out risen dough on floured cutting board until about 1 inch thick and rectangular in shape. Mix agave and cinnamon in a small bowl until thick and paste-like and spread on dough. Sprinkle with pecans and roll into a thick log, pinching ends. Cut into 4 small rolls with a floured knife and place in sprayed baking dish. Bake for 20-25 minutes or until starting to brown on top. Serve warm from the oven topped with icing, cream cheese or vanilla almond butter. 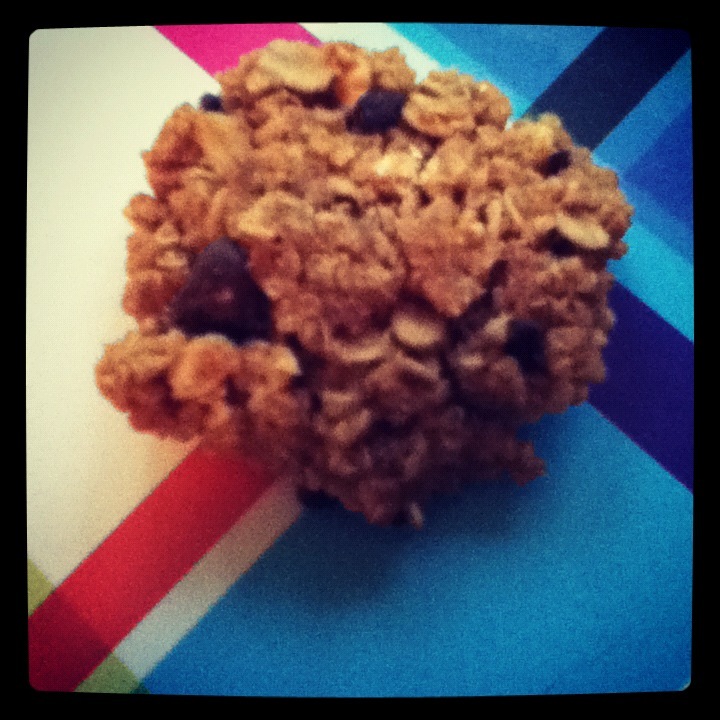 Quinoa power cookie (almost raw). We just invested in a dehydrator, thanks to my obsession with dried fruit and how expensive that habit is. So far, I’ve made dried pineapple and kiwi…and these cookies. Yep, it’s true, you can make cookies in a dehydrator, and not just any cookies, but magical ones. Like ones made from simple, healthy ingredients like quinoa and almond butter. These babies are tiny but powerful…and delicious of course. 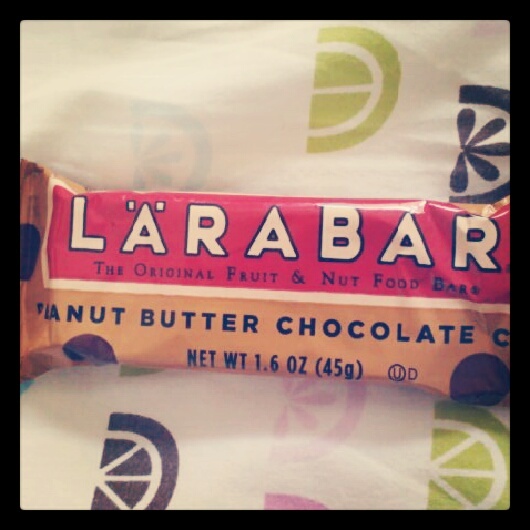 They made my house smell like peanut butter and are crunchy and chewy at the same time. Oh, and if you’re dehydrator-less, you can make these in the oven at a low temp. I can’t vouch for how they’ll turn out, but the recipe I adapted them from said you can do that. I personally think it’s cooler making cookies in a dehydrator! Oh, and each cookie has less than 80 calories, so you can totally eat a few of them at a time without feeling guilty! In a large bowl, combine quinoa, almond butter and agave. 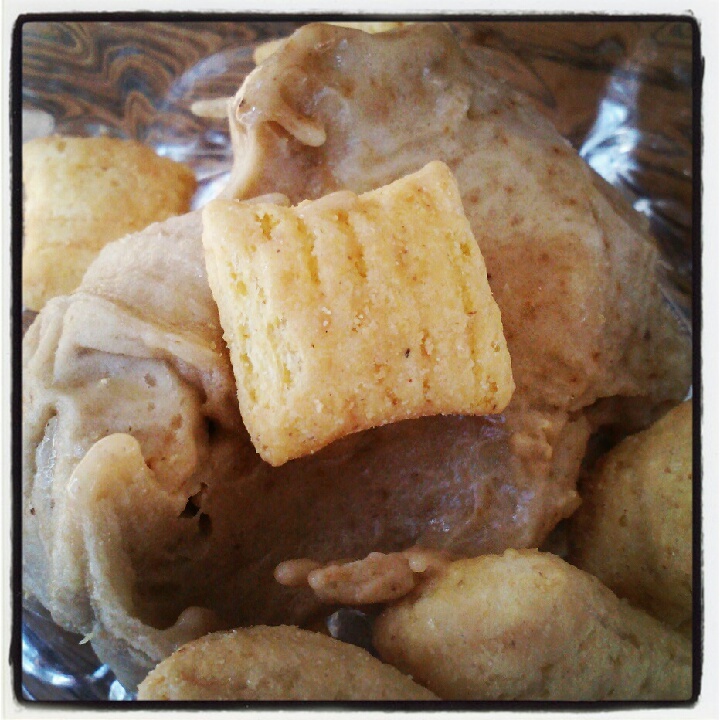 Stir in oats, peanut flour and flax until mixture sticks together. Fold in cacao nibs and chocolate chips. Form into 10 small cookies and place on dehydrator trays. Cook on 115 F for 3-6 hours or until crunchy on the outside. What’s the best thing you’ve made lately? What’s your go-to Chipotle order?